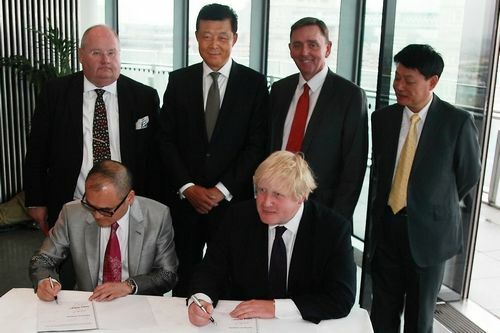 On 29 May, ABP (China) Holding Group Limited and Greater London Authority held a signing ceremony on London ABP project in London Mayor's Office of Greater London Authority. 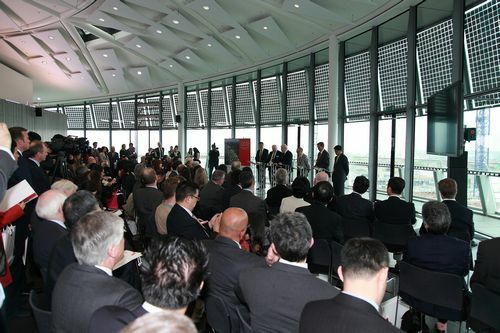 More than 200 people attended the ceremony, including Ambassador Liu Xiaoming, mayor of Greater London, Boris Johnson, Deputy Speaker of the House of Lords, Michael Bates, Chairman of ABP (China) Holdings Group, Xu Weiping, President of China Minsheng Banking Corp., Ltd., Hong Qi as well business leaders from China and Britain. Ambassador Liu pointed out that the project has two significant meanings. First of all, it will transform the Royal Albert Dock, which has a long history of more than 130 years but has been abandoned for years, into an advanced and prosperous international business district. It will not only become a new landmark in the east of London but also promote local employment and economic growth. Secondly, it will provide a headquarters and a home for Chinese enterprises in UK. Nowadays, there are more than 500 Chinese enterprises making investment or operating in UK, and more Chinese enterprises that have the ambition to set up branches or European headquarters here, so as to enhance cooperation in finance, infrastructure, creative industry and communication technology. He also hoped that the Albert Port project will be the first of Chinese enterprises in UK with its first-class facilities. In the conclusion, Ambassador Liu wished the success of London ABP project and new progress of Sino-UK economic and trade cooperation in the future. In his speech, Eric Pickles, the British Communities Secretary, expressed his welcome of the investment ABP (China) to UK and said that in the last century, the development of London was westwards while in this century is eastwards and that the London ABP project provide support to achieve the goal. Mayor of Greater London Boris Johnson said that the project is close to London City Air Port and DRL Railway, with convenient transportation. Mr. Johnson called it London's third financial district and new economic center after completion, injecting new vitality to the development of local economic and social development. 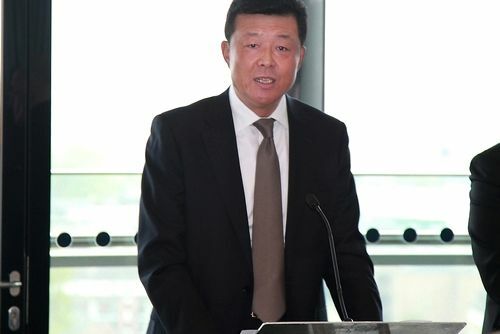 Chairman of ABP (China) Holdings Group Xu Weiping said that he hopes to develop a world-class international business district that will initially target Asian businesses in London and set up a platform for Asia-European economic and trade cooperation. London ABP project is a joint venture by ABP (China) Holding Group Limited and Greater London Authority, planning to turn the area into a headquarters and trading platform for Chinese enterprises to invest in Europe and British enterprises. It also plans to build business communication institutions including Chinese entrepreneurs clubs and bankers club. The project is located in the Royal Docks, covering an area of 35 acre and mainly developing office buildings and some high-tech research and development buildings. The project is estimated to amount to one billion pounds and plans for completion in eight years.